SYRACUSE — “I was told years ago, you would know when it is time to retire,” said Tony Ciriello, “I know it is time.” Ciriello’s resignation as Syracuse Police Chief is also a retirement from law enforcement after 34 years wearing a badge. Ciriello hand delivered his letter of resignation to Paul Stoelting, president of the Syracuse Town Council on Tuesday, Sept. 1. The remainder of the board received notice of his resignation via email. His resignation is effective Oct. 30, with his last day in office Oct. 2. “It was not a hasty decision. It has been in the works for quit a while,” he said. Ciriello’s decision to hang up the badge and gun was not done without a lot of consideration, thought and discussion with his wife, Jane. “The decision was made four months ago,” he said. “It has been a wonderful career with no regrets being in law enforcement or what I have done. I am comfortable with the decision I made and I’m looking forward to the new chapter of my life.” Ciriello has served as Syracuse Police Chief for the past 10 years, just recently celebrating the 10th anniversary with the department. Ciriello will not be retiring completely. He has taken a position in the private sector. He is seeking the Republican nod on Sept. 16, for the open coroner’s position. “The change will allow more time to be dedicated to that,” he said. His police career began as a jail officer for the Marion County Sheriff’s Department, a fire and arson investigator with the Indiana State Fire Marshal’s Office, and a patrol officer, D.A.R.E. Officer, shift supervisor and division supervisor with the Kosciusko County Sheriff’s Department prior to coming to Syracuse. He has served as a deputy coroner for the county since 1993, becoming an Indiana certified medicolegal death investigator in 1998 and in 1999 he was hired by the state coroner’s training board to oversee state training and certification requirements. He is also a Center for Disease Control Certified Infant Death Investigator/instructor. 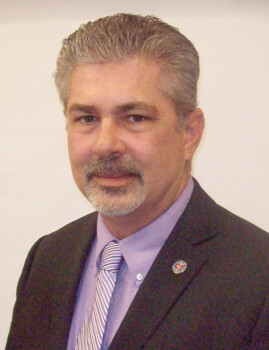 He has served on the Indiana Department of Health Maternal Mortality Review Team, was coordinator for the U.S. Department of Justice “NAMUS” project (looks into and assists in identifying unidentified human remains); served as president of the Indiana Association of Chiefs of Police in 2014 and is presently past president of that association. In April 2014 he was appointed to the Department of Criminology and Criminal Justice Advisory Board at Indiana State University. Ciriello is a graduate of the Kosciusko Leadership Academy and the Indiana Police Executive Leadership Academy, serves on the Syracuse/Wawasee Chamber Board of Directors, Syracuse/Wawasee Rotary Board of Directors, moderator of the Kosciusko Youth Leadership Academy and Warsaw Breakfast Optimist Club. He is a precinct committeeman, vice president of the Kosciusko County Shrine Club and Shrine Circus. He received the William Sudbury Memorial Leadership Award in 2012 from the Indiana Association of Chiefs of Police and in February he received the Sagamore of the Wabash from Gov. Mike Pence.